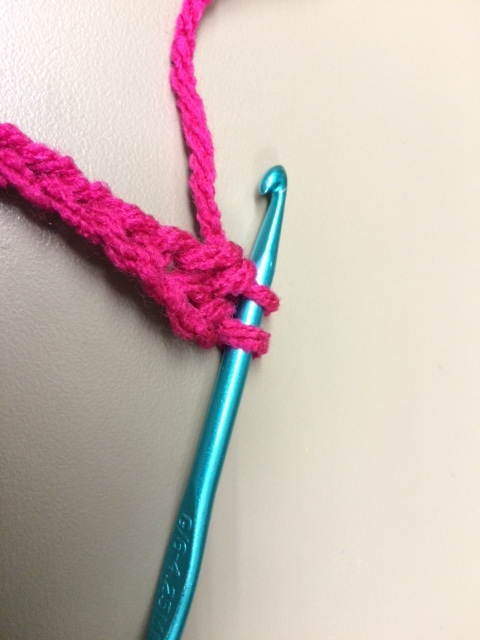 Count down 3 loops from the edge and do a double crochet into the 3rd loop. 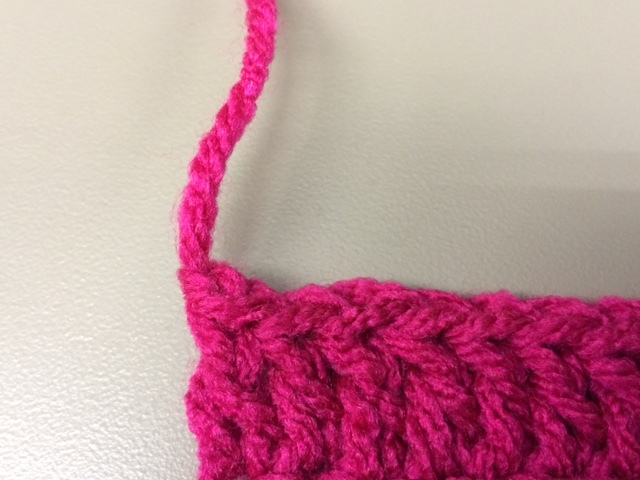 You will wrap the yarn around your hook once before inserting it into the 3rd loop. 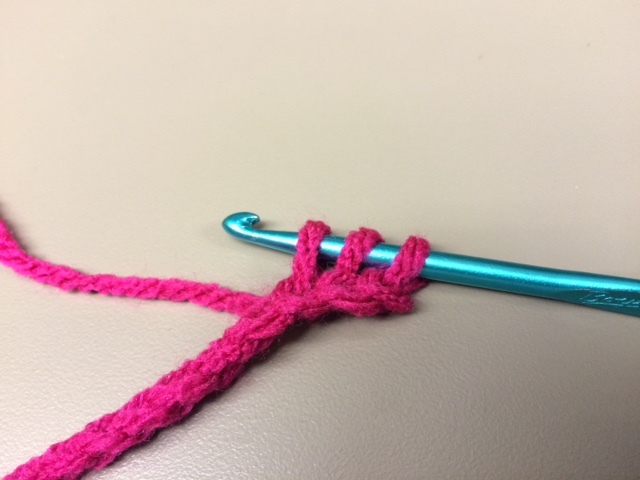 Once the hook comes out the other side of the 3rd loop, wrap the yarn around your hook again. 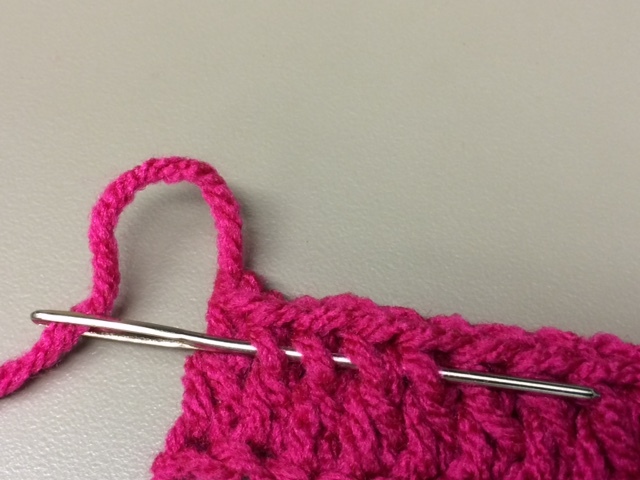 Now pull it back through. 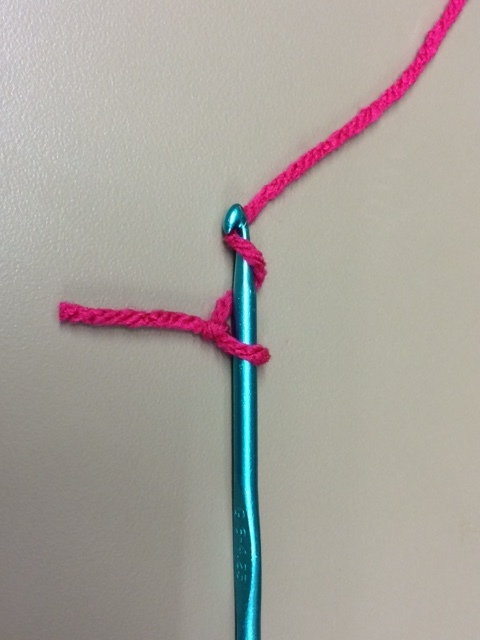 You should see 3 loops on your hook. 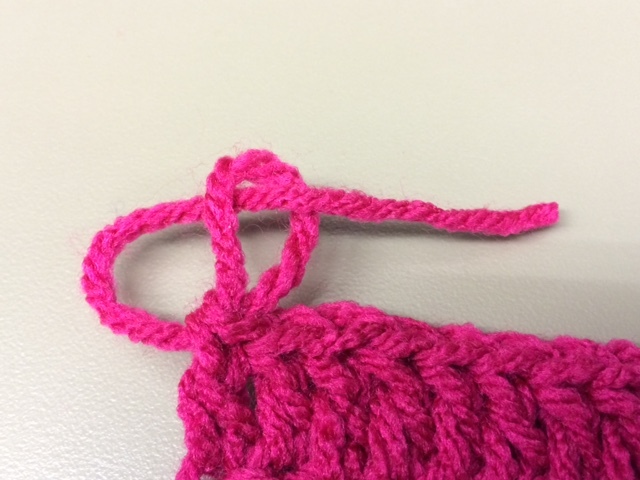 Wrap the yarn around your hook once and pull through the first two loops. 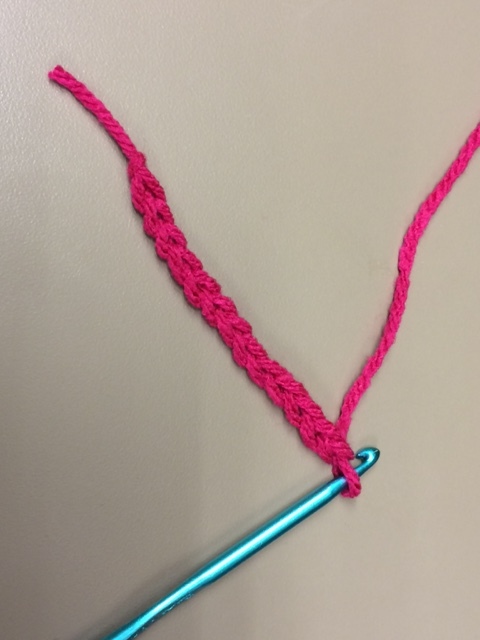 You should only see 2 loops left. 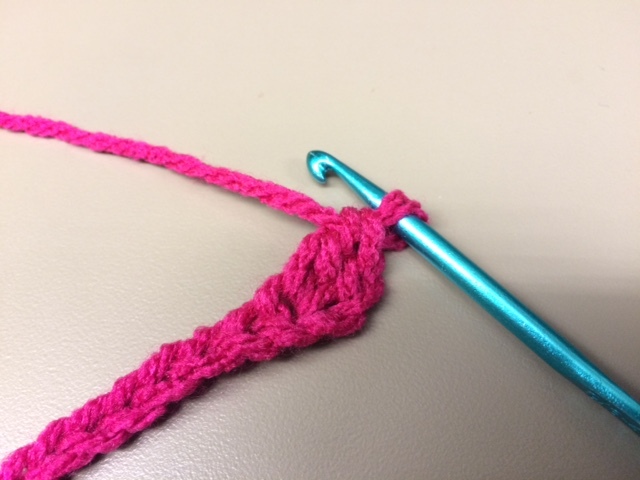 Again, wrap the yarn around your hook and pull through the last two loops. You will continue steps 2-4 into the next 12 chains. 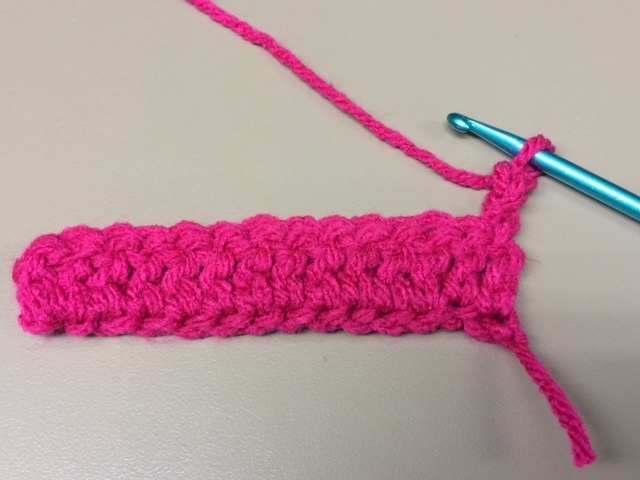 Repeat the double crochet stitch until you reach the desired length (typically 4-5 feet in length, or 48-60 inches.